Oh yes please ! 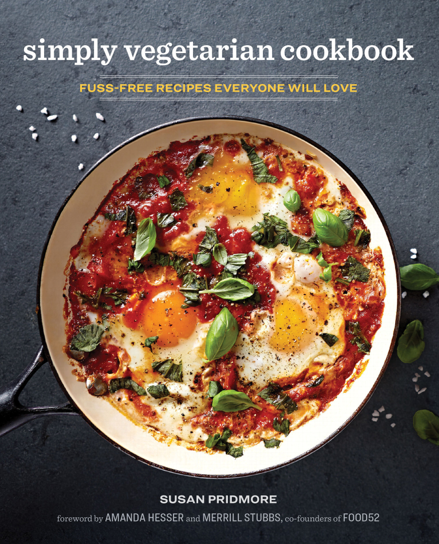 Now I am not a vegetarian but shall both make the recipe soonest and go search for the book. 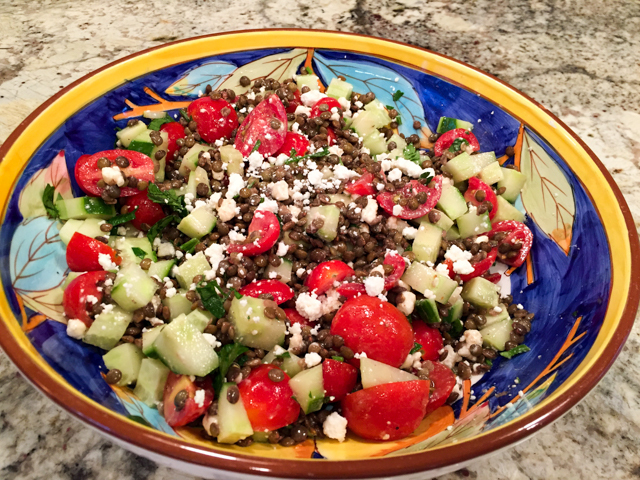 Anything ‘Lebanese’ containing any kind of ‘lentil’; gets my immediate attention and then feta and mint and . . . Sally: you bake the most beautiful cakes and I smile every time you publish, but thank you for thinking of ‘savoury’ cooks like me and giving us thrills and spills ‘our’ way . . . 🙂 ! Thank you for your lovely lovely review of my cookbook!!! I’m so happy you’ve enjoyed cooking from it!!!! And you’ve chosen to highlight some of my favorite dishes in the book. I love seeing the recipes people are drawn to!!!! wonderful to learn you liked my little write-up! Again, I wish you all the best with this cookbook! Very interesting review, thank you. 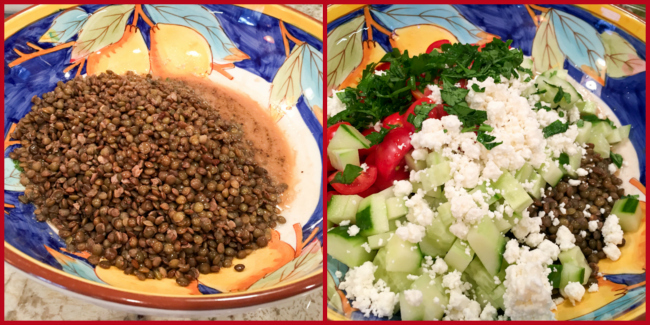 I love the idea of adding lentils to essentially a Greek salad to make it a complete meal. Especially welcome in theses last days of Indian summer. It does make a complete meal, and I absolutely loved it with the fried egg, it was just perfect! 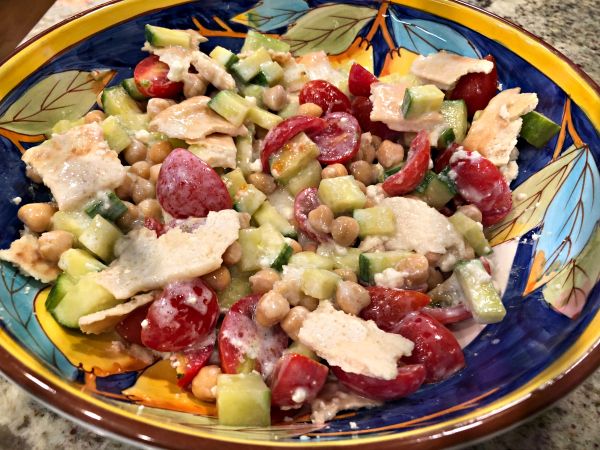 Now this salad is right up my alley! 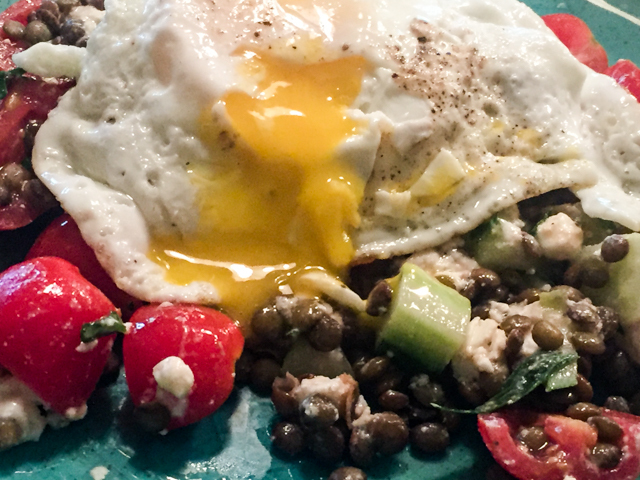 Minus the feta for me, what a perfect dish for plant-based dining. It sounds like her book has many recipes I would love. The teaser one as well!